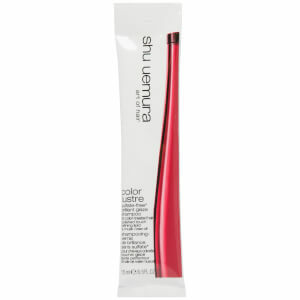 With a micro-fine mist, the Shu Uemura Art of Hair Sheer Lacquer creates a flexible, touchable hold with a long lasting hold to protect your style all day long. Even after brushing, the sheer lacquer offers shape memory for long-lasting control. Ideal for controlled waves, curls and soft updos, the spray leaves hair protected from heat, humidity and looking great. Spray on dry, styled hair, holding can 8-12 inches away from hair. Layer for extra hold.